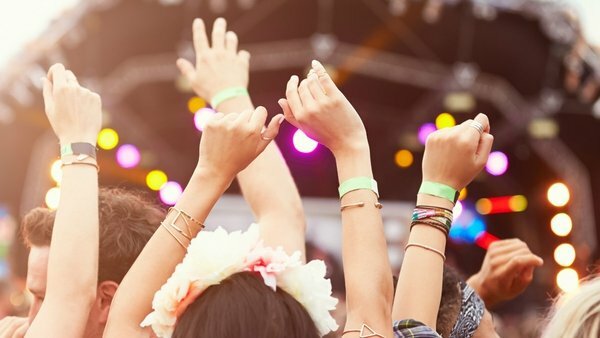 Summer is in the air and with it comes the hundreds of festivals taking place around the country and we spoke to Vantastival's Louise Tangney to get her top tips for families ahead of the festival this bank holiday weekend. What is Vantastival? When did it start and how did you guys kick it off? What were your goals - what is the ethos of the festival and who is it for? Vantastival is a camper van themed music festival. It is a very relaxed and friendly independent festival showcasing the best of up-and-coming Irish acts, which is very family friendly and open to both tent campers and those with camper vans. The idea came to us in 2009 as my husband and I had both worked at lots of other festivals over the years, and as we always used to stay in our own van, we spotted a major gap in the market for an event that celebrated the vans that people love. Most other festivals charge a high price for the privilege of bringing your camper van and then park you miles from the arena with no real facilities. We visited camper van festivals in the UK and decided to do our own spin on one, where instead of being penalized for bringing your camper it became part of the festival decor. At Vantastival you can park your camper right next to the arena if you want, put out your awning, deck chairs and barbeque and have a really great weekend while enjoying some fantastic music. At the first Vantastival in 2010, we had about 1,200 people on site, and it was a real eye-opener for us.The children's area that year was a huge success and we realised that most camper van owners are that bit older than the younger festival goers - our camper van crowd were mostly in their 30's and 40's, and very many of them brought their kids. While it hadn't necessarily been a focus when the festival was conceived, the family friendly element became a big part of Vantastival from then on. However, as there was no other music festival in the North East at the time, we still had big crowds of young people coming for the music, so it was important to make sure that tent campers felt equally welcome. These days those camping on site are usually about 50% in vans and 50% in tents. You have managed to create a unique festival with an amazing atmosphere in a beautiful location - how did you do it? How will you protect that as interest and numbers grow? There are a number of reasons I think Vantastival has such a uniquely special vibe. We have grown a small but dedicated and very talented crew over the last eight years, who all know each other very well and work brilliantly together. When the crew are enjoying themselves, it filters out to the festival goers. The site crew have built these amazing timber stages that are so beautiful and intimate - it's a different experience than watching a band in a generic marquee. We are also very protective of our BYOB policy. This makes Vantastival much more affordable than other festivals, but also more relaxed. I think another important contributing factor to the atmosphere at Vantastival is the cross section of ages that attend. We have had people from 9 days old to 90 years and over on site. We have a large crowd of those in their 30's and 40's, while the younger revelers are calmed by the larger numbers of small children on site. It seems to really have a calming influence on them, and everyone respects the family-friendly nature of the event. 2017 is our 8th festival and we've never had a single arrest. We are also one of the only festivals of its kind that allows teenagers under 18 to attend, as Vantastival welcomes the whole family. Family wise - Vantastival has a lot to offer - for those who have never been, can you explain? Vantastival has a family camping area for both tents and camper vans and the night time quiet in this campsite is always respected. There is also an amenities tent in the family campsite, complete with electric sockets, microwave, kettle and running water. An important point to note is also that the car park at Vantastival is very close to the campsite - really just a five-minute walk across the field, unlike some of the bigger events where there can be quite a distance to travel carrying all your belongings. This makes things a lot easier for those with small kids in particular, as it is easy to return to the car whenever you need. In terms of children's activities, we have an amazing Alice in Wonderland-themed kids' camp, located in the stunning walled garden at Beaulieu House. Scheduled kids' activities run from 10.30am to 6pm each day - with storytelling, circus skills workshops, music workshops, arts and crafts, laughter yoga, games, bouncy castles, face-painting and much more going on. Kids find the freedom of being able to run around and explore the festival site amazing, and it's safer than the bigger festivals with fewer people and more space. 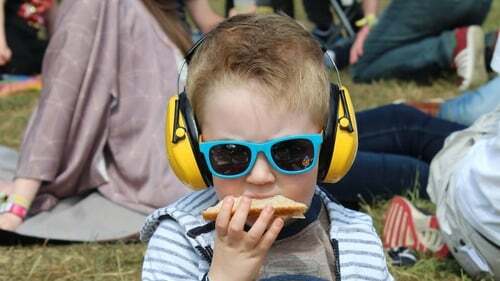 What are your top prep tips for families who have never been to a festival before? The first thing is to prepare in advance by taking a good look at our website so you have an idea of the site layout and what is on offer. We have a list of things on our website that we advise everybody to bring, and they are especially important if you have kids with you. Don't forget that this is Ireland so you need to prepare for all weather possibilities and even when it's sunny during the day it can get cold at night. I recommend bringing water bottles with the drinking spout which are great for teeth brushing.For small kids, ear protectors are important if you plan to go to the bigger stages where the music can be very loud. A backpack for yourself to carry around the festival site, and if you children are old enough give them their own little backpacks. Clothing in layers that are not too bulky. If does turn out to be wet, rain pants and wellies for smallies are invaluable and ensure they can still enjoy themselves and you don't have to carry them around. We give every child a wristband on entry which has a parent's phone number written on it, so if they do happen to be found wandering it's easy to contact you. I would always say there is strength in numbers. Depending on the ages of your children, it's a lot easier to keep an eye on them if there are two of you. My kids are 3 and 5, and whenever we take them to a festival we will nominate one adult per child and so each of us will be sure to have our eyes on our nominated child at all times. It's important to give kids the freedom to wander, but they can disappear given half a chance so keep your wits about you. While no one would begrudge you a couple of drinks* during the day when you have kids with you, you are always on duty so don't go overboard. If both parents are there then take turns - one gets to let loose on Saturday night and the other on Sunday. If you've never brought children to a festival before you'll be pleasantly surprised at the feeling of a Sunday morning with a fresh head, wandering the site while others are nursing the results of overindulgence in their sweaty tents. You'll end up seeing much more of the festival than you might if you were there without them. Make sure to pack lots of snacks for the kids! What food do you offer on site and what do you recommend that people should bring? There will be food stalls on site but it's always a good idea, especially with kids, to bring snack items that are easy to manage and keep tummies full - my favourites when I take my kids to a festival are bananas, oatcakes or crackers and pre-sliced cheese, apples - the kinds of things are individually wrapped so easy to throw in a backpack as you're walking around the festival. This year we will have food vendors selling fish and chips, burgers, chicken, sausages, healthy toasties, wraps and salads, sweet and savoury crepes, fried baby potatoes with toppings and more, as well as sweet treats like ice-cream and donuts. What times are the acts/events on and what time does it wrap each evening? The music starts at 1pm on Saturday and 12 noon on Sunday and runs all day across four stages until 1.30am each night. After that, all the late night activity is confined to an area in the woods, well away from the campsite, where DJs continue till 5am. In addition to the music programme, there are a variety of other things on throughout the weekend and running from 10.30am. We have our Campervan Cook-Off at 4pm on Saturday, there's stand-up comedy at 7pm each evening, and we have a tent called 'The Hall of Heroes' running improv comedy and games all day. There are also fire performances, drumming workshops, and laughter yoga, while our sponsors will both host a variety of games and activities in their own areas. What are good/safe times to have kids around until and what areas are better/more safe? At the start of June, daylight lasts until almost 10pm. We would recommend that after dark, it's definitely better for kids to be safe in their camp. The kids' area closes after 6pm but the arena should be quite safe in the evening after that. The crowds at the stages tend to get bigger at night so if you want to see some music, it's best to stay towards the periphery of the crowd. The main arena has lots of space and chill-out areas where it should stay comfortable for kids until about 9pm. I would tell parents to trust their own judgement, and if they feel that the crowd is getting a little too rowdy, just move to a more open area. How do you decide who to book each year? You've pulled together a great line-up this year. We have an open submission policy, which means that each year an act that is creating original music can apply to play. We usually get about 500 applications, we listen to them all and with difficulty whittle them down to about 40, trying to keep a good balance between male and female and genres such as trad, folk, rock and electro. Nobody wants to watch ten male indie-rock bands in a row! In addition to the open submission process, we select approximately 10 bands that would be a bit better known to put on higher up the line-up. We are thrilled to have The Riptide Movement headlining this year - they played their first ever festival slot at the very first Vantastival in 2010! Kíla will also be back this year to close the Main Stage on the Sunday night. Anyone who has seen them live knows what an energetic show they put on. Most people who have been to Vantastival would agree that one of the best things about it is discovering these amazing acts that you've never heard of. One of our stages - The Firestone Music Station - is dedicated to providing a platform for local acts. There is a wealth of talent in the North East and it's great to be able to help acts reach a bigger audience. How many people were there last year? How many are you expecting this year? What number would be the max you would ever want there? Last year we moved to a new venue. It was our first time holding the festival at Beaulieu House and Gardens, and because of this, we downscaled the event as we were finding our feet. There were about 2,000 people on site over the weekend. The site is incredibly beautiful and suited the festival perfectly, so following last year's success, we have grown again this year and expect up to twice that number. We are happy to grow a bit as it's essential to sustaining the festival, but we won't ever go over 5,000. A large part of the appeal of Vantastival is that it is smaller than other festivals, and we don't want to lose this. Nowhere on site is more than a 5-minute walk from anywhere else, and the smaller numbers are what makes it safer than other festivals for kids. I have taken my children to many music festivals in Ireland and I have yet to find one that is as child-friendly as Vantastival. Do you organise other events throughout the year? We often do one-night events for Halloween or Christmas. These are usually a different type of event, adult only, but last Christmas we did a daytime Jack L gig at Beaulieu with a Santa's grotto for kids. It was the weekend before Christmas and families were delighted to be able to come along with the kids and enjoy some mulled wine and great music in a very festive atmosphere. Yes, tickets are on sale from www.vantastival.com/vantastival. Weekend camping is €85 per adult and day tickets are €40. Kids under 14 cost just €5/7 for the day/weekend, and if you do plan to bring a campervan or caravan, there is no extra charge! There is a whole host of amazing festivals coming to Ireland this summer. Be sure to check out our top picks here and our family guide to camping here.